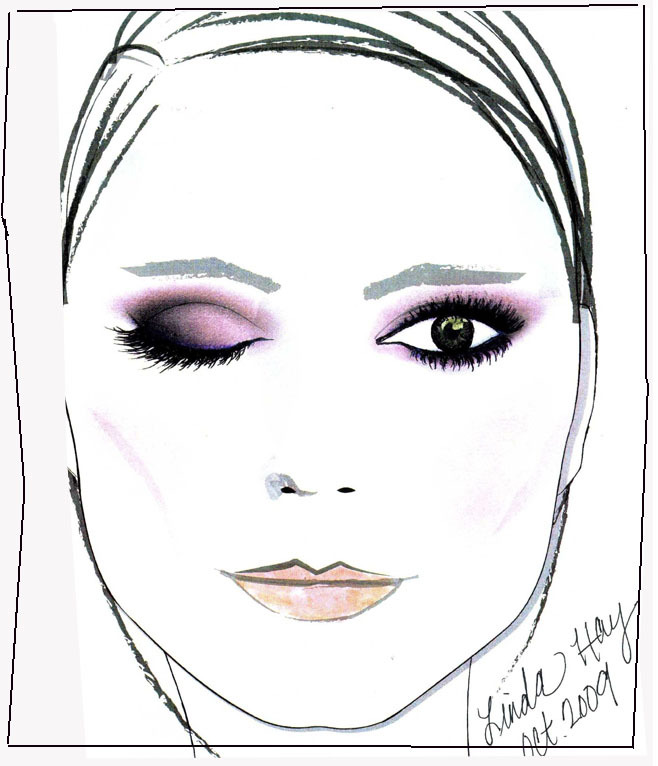 Linda Hay is Victoria's Secret's makeup artist, and an awesome one at that! 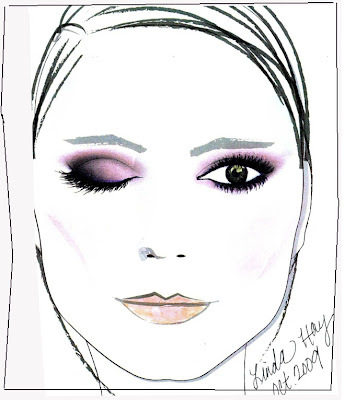 I found this gorgeous picture of Heidi Klum, and it just so happens, there is a face chart and beauty breakdown of this look, provided by Linda Hay herself. For the eyes, they used VS Makeup's Eyeshadow Palette in Hidden Palace. For an easily available alternative, try Revlon's Colorstay Eyeshadow Quad in Lavender Meadow, available on eBay at AUD 9.99, or any drugstore anywhere, really. Revlon's Colour Palette in Violet Haze is also available on eBay, for AUD 8.50. This one is from their wet/dry range, so you can wet your applicator brush before applying for a more intense colour. Finally, dark eye makeup can only be pulled off if blended properly, so buy a blending brush to help smooth out harsh lines. For a cheap version, try this ELF Cosmetics brush, selling for only USD 2.35. P.S. "Follow" me! Click on the "Follow" with Google Friend Connect button on the right to win amazing skincare and jewellery prizes, coming soon!